After complaints from Pilsen neighbors, a developer is no longer calling a new 18th Street development "The Gentry." PILSEN — After complaints from Pilsen neighbors, a developer is nixing plans to call a new 18th Street development "The Gentry." 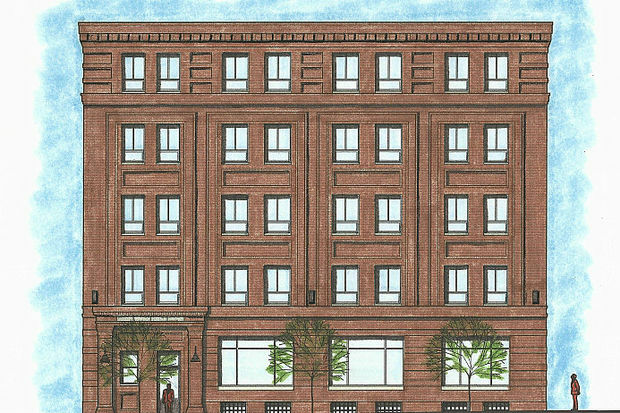 John Pagone, principal of Villa Capital Properties, said Thursday the planned loft office and retail development at 917 W. 18th St. will now be referred to by its address. 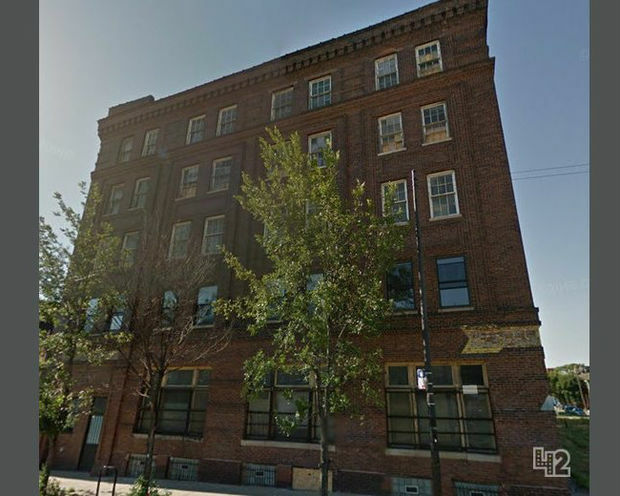 The Pilsen building, located two doors down from Dia De Los Tamales and across the street from Pilsen's largest vacant site, is owned by a subsidiary of Villa Capital Properties, Pagone said. The building's name struck a nerve with some Pilsen residents in the changing neighborhood, said Byron Sigcho, executive director of Pilsen Alliance. When used alone, the word "gentry" means "people of good social position." To some Pilsen neighbors, the new office building's name was an ill-worded symbol of the ongoing gentrification in the neighborhood, Sigcho said, and he was surprised when The Gentry name was used in marketing materials including fliers passed out to prospective tenants. "People were really outraged about the name. It felt like we were being provoked," Sigcho said. The name "felt like this is really not for the community." After negative feedback, Pagone said the owners swiftly abandoned the name. 'We got one bit of negative feedback from a prospective tenant — that it was something considered in a negative manner in the neighborhood," Pagone said. "That wasn't our intent, and we try to be good partners to the neighborhood that we're residing in." Ald. Danny Solis (25th) called the building's former name "kind of silly" and said he understood how some Pilsen residents could connect the name to gentrification. "It's not a name I would've chosen," Solis said. "It's not the smartest thing to do, but in terms of the name, it's not a kill-the-deal issue, either." Office space in the 40,000-square-foot building is currently leasing for $19-20 per square foot, according to an online brochure. Retail space is listed as "negotiable." Agents are currently in negotiations "with a number of groups" who are interested in leasing at the site, Pagone said. He aims to lease space in the building at "market rate" rents, he said. Sigcho said Pilsen Alliance members are concerned that the development's rents will be priced too high for Pilsen business owners and will accelerate gentrification in the immediate area, pushing longtime businesses out. 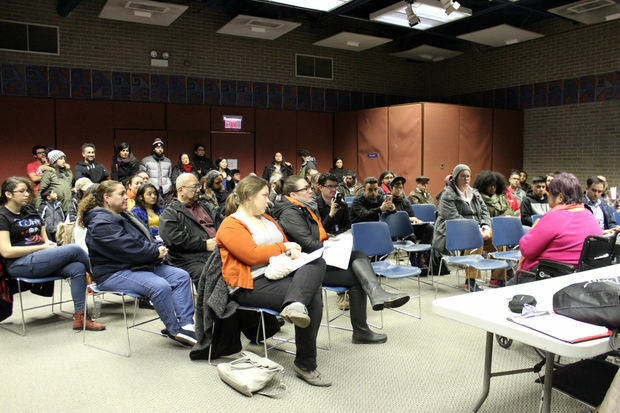 On Tuesday, about 75 Pilsen neighbors discussed the planned 18th Street office project at a meeting hosted by Pilsen Alliance at the Rudy Lozano Library. "They may have changed the name, but the vision hasn't changed," Sigcho said. "Their model of high profit will have a direct impact on small businesses that are already struggling." "The building is in Pilsen. We're looking to accept market rate, and assuming we're successful in leasing it, the end result would be retaining businesses in Pilsen," Pagone said. Sigcho said he will push the developer to hire local Pilsen residents and offer some affordable space in the building to Pilsen-based business owners as part of a Community Benefits Agreement. "Private investors can do whatever they want, but in showing good faith to the community, perhaps they could offer a few spaces at a lower price to local Pilsen entrepreneurs," he said. Solis said that the new retail and office development will bring new jobs to the area for Pilsen residents and will complement the planned Paseo Trail nearby. The office rents in the new building are fair for East Pilsen, he said. "I still maintain the changes in the neighborhood have been very positive," Solis said. After buying the vacant building in December 2014, Pagone and partners initially explored developing residential units on site and sought to rezone the property to a Neighborhood Mixed-Use District in Sept. 2015. Since then, the developer pivoted, planning insted to redevelop the building into loft office and retail space with the existing zoning in place. Listing agents Zach Pruitt and Michael Nelson of NelsonHill did not return calls Thursday.